There’s no better time to encourage kids to adopt healthy eating habits than the start of a fresh school year. 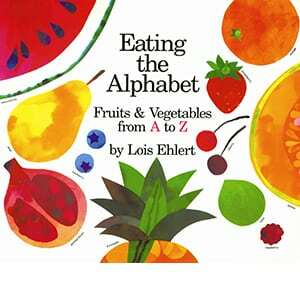 Teaching your children to eat healthy can be a tricky task, but engaging books that speak their language can steer them in the right direction. According to Huffington Post, reading books is one of the best ways to “help children learn where their food comes from, who grows it, and why it’s important to share meals with friends and family.” Here are five children’s books that encourage healthy eating and are bound to get you and your youngsters on the same page. 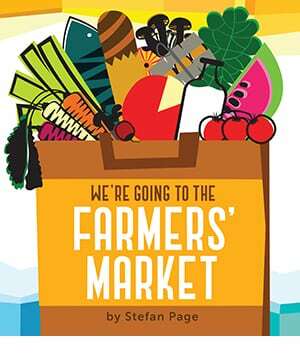 For the youngest bookworms, we recommend Stefan Page’s adorable board book, We’re Going To The Farmers’ Market. With bright and bold illustrations, Page takes youngsters on a trip to the local farmers’ market where they fill their baskets with fresh fruits and veggies, then head home for a wholesome meal. For Eminence Kids, the message behind this books’ beautiful pages hits home: We believe that choosing locally-sourced organic food is essential to long-lasting health. PBS agrees that one of the best ways to encourage kids to eat healthy is to teach them where their food comes from: by visiting a local farmer’s market and meeting the people who grow the food they eat. Bring on the giggles with the antics of Gregory, The Terrible Eater – a goat with a peculiar penchant for fruits and veggies over typical goat fare like flat tires and broken violins. 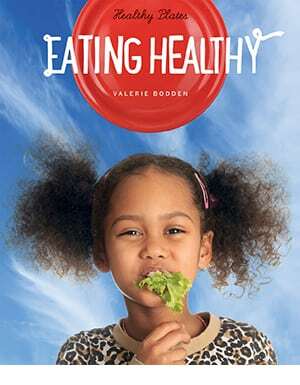 Clever to the core, this classic picture book comes highly recommended as one that shows, rather than tells, key healthy eating concepts to kids. 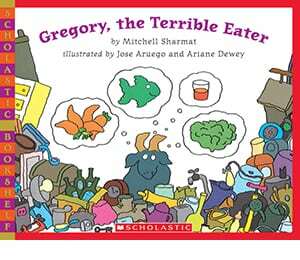 We Are Teachers says: “Kids will find it hilarious that Gregory’s parents don’t want him to eat his fruits and veggies and instead want him to eat trash. Instead of being told what’s healthy, the kids will be pointing it out themselves in this book of silly role reversals.” With its humorous storyline and expressive illustrations, this book is bound to be in heavy rotation. Does your youngster prefer facts to fiction? If so, Healthy Plates: Healthy Eating is the perfect pick. This kid-friendly resource is packed with easy-to-digest pages that teach the importance of healthy eating habits and an active lifestyle. The book covers essential concepts like food groups, well-balanced nutrition and the connection between food and exercise. Cute callouts (ex. 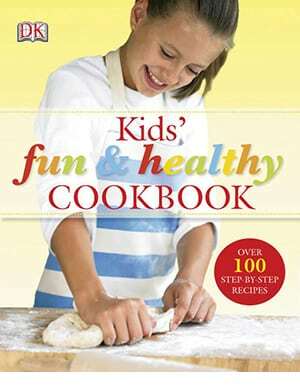 “Eating healthy foods can give you more energy to play and climb”) encourage Q&A, and a healthy recipe at the book’s end invites kids into the kitchen to apply what they learned. For even more learning, turn to the list of supplementary materials at the back, including websites to visit and books to add to your shelf. Another great way to teach children healthy eating habits is to get them into the kitchen. Several studies show that involving children in meal choice and preparation is an important first step in getting them to try new and unique foods. This cookbook includes over 100 easy-to-follow recipes that teach young chefs about healthy meals and how to prepare them. Nutritionist Julie Burns is a fan of this hands-on approach, telling Parents.com: “If your children become involved in choosing or preparing meals, they’ll be more interested in eating what they’ve created.” Take the time to discuss the ingredients in each recipe, inviting your youngster to consider how different foods affect their health and how they grow. You don’t have to be a star storyteller to deliver an entertaining and educational read-aloud. In fact, the best storytime moments come about unexpectedly. They occur in the laugh-out-loud moments, unprompted questions and surprising insights shared between you and your budding bookworm. Here are a few storytime tips to make reading aloud a positive and engaging experience for your little one. Don’t be afraid to let loose during storytime. Bringing characters to life with quirky voices and dramatic expressions is part of the fun – even when you mess up! The Washington Post advises: “Have fun and be playful. Use this as an opportunity to ham it up and perhaps create different character voices to really engage the child.” Don’t be surprised if your child joins in, delighted by their own creativity. Storytime doesn’t have to coincide with bedtime. In fact, when teaching kids to eat healthy, it’s best to pair stories around a snack or mealtime. This will help your child make connections between what they’ve learned and how it applies to their daily life. However, if the timing’s off – don’t push it. Instead, aim for a time of day when your child is calm and more likely to be positively engaged. Young readers tend to focus on illustrations – and when they aren’t focusing on the page, they are most likely watching the adult reader. Point to both words and pictures to help build connections between the words children hear and the images they see on the page. Explain and describe what is happening and invite them to point out their favorite words and features. Press pause. One of the most magical parts of reading is when your child’s imagination takes over. PBS agrees: “Some nights, it’s tempting to rush through books on the way to “lights out.” But by occasionally pressing the “pause button” before you turn a page—stopping to notice something about a picture, to explain a word, to ask a question, to make room for your child to ask a question—you can support your child’s comprehension.” If your youngster is drawn to a particular page, phrase or illustration, take the time to explore their curiosity and ask questions: What colors do they see? What type of fruit or vegetable is that? What do they think it would taste like? Not every story has to end when you turn the last page. By asking open-ended questions, you can invite your child to explore their own ideas about nutrition and healthy eating. Ask what they learned and how they might change their habits. Are there any new fruits or vegetables they’d like to try? Is there anything they’d like to eat more of or eat less of? Why do they think it’s important to eat healthy and be active? Find these children’s books that encourage healthy eating at your local library or favorite independent bookseller. What activities have you found useful in teaching your kiddos the importance of healthy eating? We’d love to hear your thoughts! Share them with us in the comments below and join the conversation on Facebook, Twitter and Instagram.